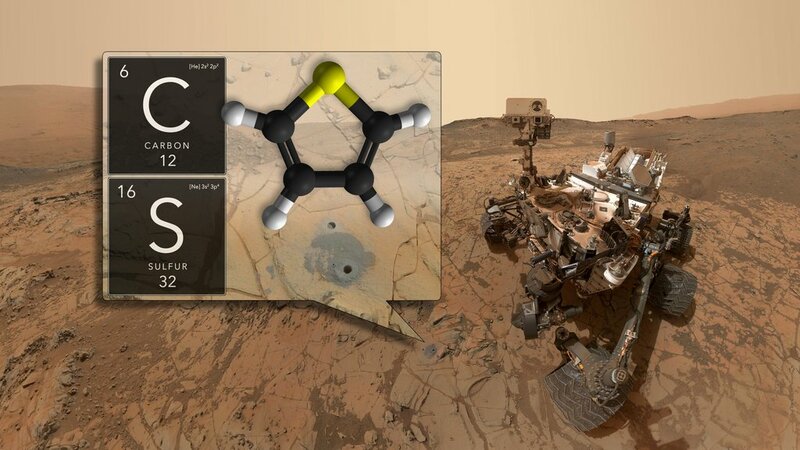 Curiosity has not determined the source of the organic molecules, Whether it holds a record of ancient life, was food for life, or has existed in the absence of life, organic matter in Martian materials holds chemical clues to planetary conditions and processes. The Martian surface is exposed to radiation from space. Both radiation and harsh chemicals break down organic matter, Finding ancient organic molecules in the top five centimeters of rock that was deposited when Mars may have been habitable, bodes well for us to learn the story of organic molecules on Mars with future missions that will drill deeper.